On September 14, 1941 James Louis Utesey was born to Odes and Rosie Utesey of Edna TX. He was the older of two children. Growing up James loved the outdoors and working on anything that had an engine. Hunting, fishing and gardening were just a few of his many passions. James did many, many jobs in his lifetime but is most famously known as "The Water Well Man". James and his late wife, Shirley, created J&S water well service in 1971. A business that lasted until the day of his death. On December 19th, 1970, James married Shirley Richmon, the love of his life. She passed away on April 30th, 2018. James deeply mourned her passing and longed for the day he would be reunited with her. James is survived by two children. Betty "Sissy" Valchar (Terry) and Alisa Jones (Ryan) both of Victoria. A sister, Shirley Odell (Harry) of Edna TX. Two beloved sisters in law, Deanna Mccue of Victoria TX and Oleen Cook of Port Lavaca TX. He is also survived by 7 grandchildren John and Anna Deluna, Quinton, Jordan, Kaden, Vallery, and Victor Jones and 5 great grandchildren. The last of which was born just two hours before he passed away. He is also survived by a host of nieces and nephews. He affected them all in so many positive ways in only the way that a man as unique as James could. James lived a full life. Doing many things on his own terms and in his own way. He battled cancer three times and won three times. James leaves behind many great friends. He leaves us all with many smiles and many great memories. 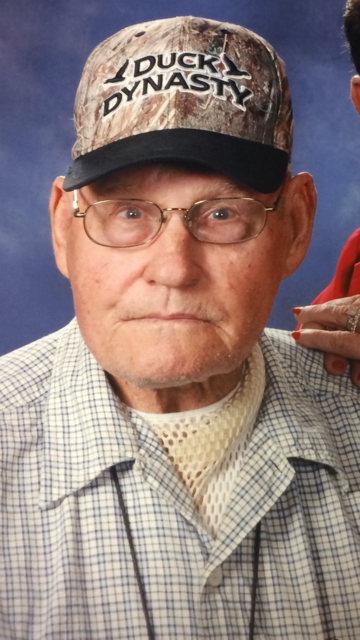 A memorial service will be held on Thursday, September 13th at 10 a.m. at Grace Funeral Home. In lieu flowers donations can be made at Prosperity Bank c/o Alisa Jones to defray medical and funeral expenses.